Russian President Vladimir Putin on Friday signed a decree on Russia’s fulfillment of the UN resolution on Iran’s nuclear program. MOSCOW (Sputnik) – According to the decree, Russia has been charged with complying with UN Resolution 2231, which was passed by the UN Security Council in July 2015. 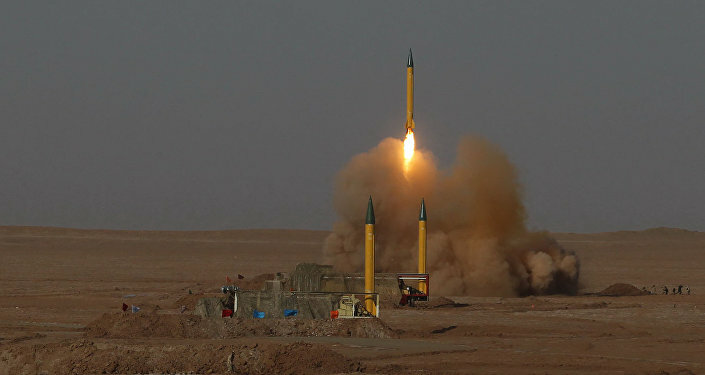 The resolution involves an action plan on Iran’s nuclear program. On July 14, Iran and the P5+1 group of countries comprising Russia, the United States, China, France and the United Kingdom plus Germany, signed the Joint Comprehensive Plan of Action (JCPOA). The agreement guarantees the peaceful nature of Iran's nuclear program in exchange for sanctions relief. In January, the International Atomic Energy Agency (IAEA) verified Iran’s compliance with the terms of the JCPOA. The confirmation led to the immediate lifting of UN, US and EU sanctions linked to the country's nuclear program.